Miss New York is Miss America… Again! I’m not going to try and keep it a secret, since I’m sure everyone already watched it on television. Miss New York, Nina Davuluri, won Miss America 2014. She is the second Miss New York to become Miss America, in a row. She is the 6th Miss New York to become Miss America, ever. She is the second Miss Syracuse to become Miss America, ever. 30 years, exactly, after Vanessa Williams won. She is the first Miss America of Indian descent. She was the first contestant to perform Bollywood Fusion for her talent. It was the first time the Final Two were “ethnic”. Officially they were both Asian-American, as India is in southern Asia. Also both were 1st Generation Americans. She is the first former MAOT (Michigan) to become Miss America. Had the first Jewish Miss America, first Black Miss America, and first Indian Miss America. Nina Davuluri, you are officially my favorite local holder, favorite Miss New York, and now Favorite Miss America. If I had missed this girl get crowned I would have never forgiven myself. Originally it was supposed to be my mom, my sister, my friend Adrienne and I attending. But in the end, literally the week of the event, it ended up being Carrie Sunde, and myself driving down. Carrie won the Miss Cambridge title and placed in the Top 11 at Miss Massachusetts. She attends Syracuse University in New York, so although a majority of her loyalties were for Amanda, she was partially obligated to root for Nina as well. Also Adrienne drove down with her friends Dan and Gary. Both Dan and Gary have attended locals in the past and couldn’t miss the opportunity to attend. Also, Adrienne had a friend who lives in Ocean City, across the way from Atlantic city, who decided to join us as well. Bianca, who competed in Miss Central New York, also came down on Sunday for the pageant, with her friend Kristina. 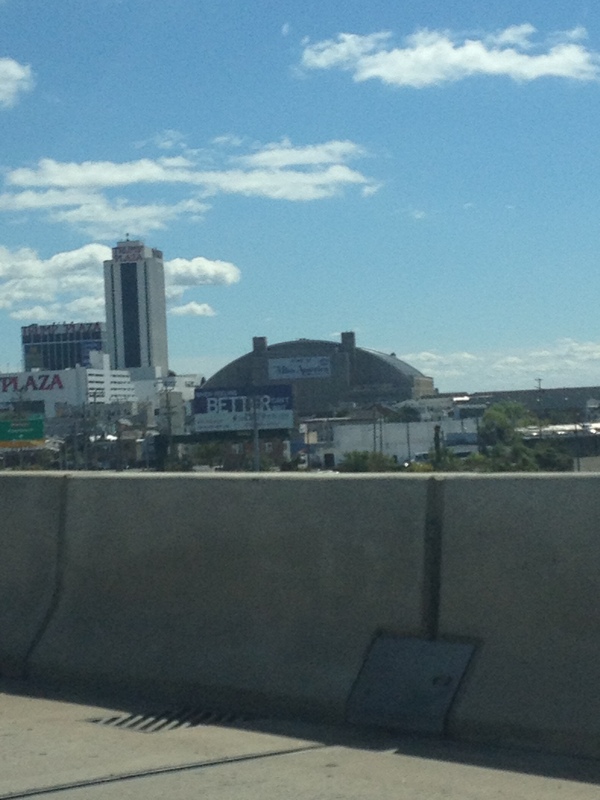 Carrie and I drove down early on Saturday morning to make it to Atlantic City before the Pageant Vendor Show closed. We made it with an hour to spare. Then we spent the rest of the day on the Boardwalk, checking out the pier shops, going to the Miss America pop-up shop, and finally attending the Show Us Your Shoes Parade. Sunday morning we woke up early to catch the Knight Bus, I mean shuttle, to attend the Miss America “Forevers” Autograph Signing. We spent the afternoon at the outlets and the Sheraton Hotel; a mini-Miss America museum, and lunch with some pageant friends. Finally, we caught the shuttle back to the hotel to change, and came back for the pageant. We had fantastic seats, watched the pageant at the edge of our seats, chose our favorites, and waited for crowning. When Nina won, literally we were in disbelief. My mom and friend Kristy were blowing up my phone. I was so excited I was literally dizzy and light headed to pass out. I am so blessed yet humbled to have been involved in such a historic Miss America pageant. Truly, my life has been changed, and I can’t send enough good vibes, best wishes, and juju beans to the girl next door who conquered the world.